A local guide to Lake Park NC real estate, news, events, neighborhoods, schools and more. Search Lake Park NC homes for sale. call Carol Fox directly at 704-905-3935. Lake Park is unique in Union County because it was planned from the beginning to be a new town with all the features that make a small town that evolves over many decades so livable. 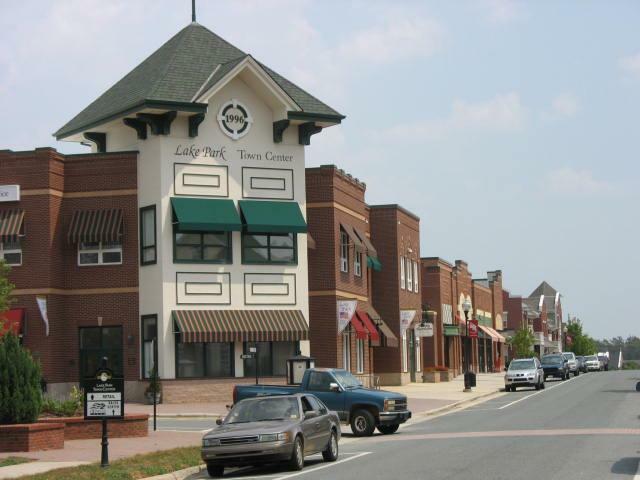 Lake Park's plan included a central core with community and social features, such as stores, a village green with bell tower, a community center, and sites for churches and a school. Sidewalks and pedestrian paths throughout the village connect a series of parks and ponds. 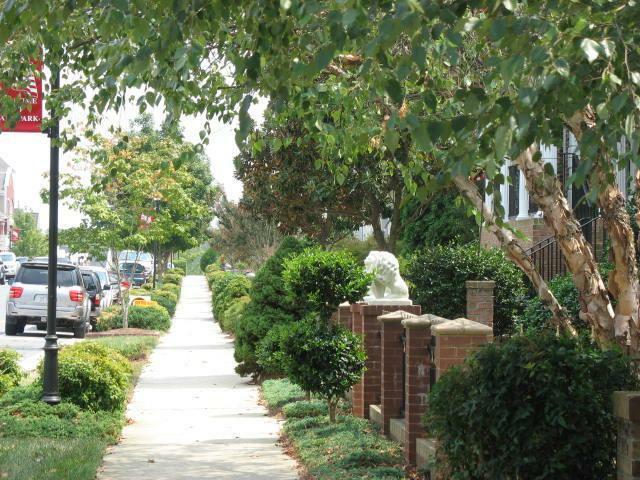 Every neighborhood is just a short walk from one of these open spaces and within a ten minute walk of the Town Center. Neighborhoods in Lake Park were planned to provide housing types for different lifestyles so that the village would include opportunities for people and families in all life stages. Housing near the Town Center is more dense and includes condominiums, townhouses, and patio homes. Many of the streets adjacent to these areas have single family homes on small lots with alleys and garages at the back of the houses. Front porches on these home encourage interaction with neighbors and pedestrians on the street. Neighborhoods developed on the outer edges of the village are more conventional and have larger, more standard subdivision lots. The various price points for homes is mixed throughout the neighborhoods increasing interaction among all the residents of Lake Park. Construction began in 1990. 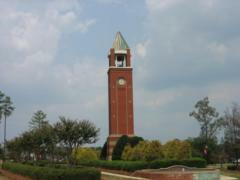 By 1991, the Clocktower and village green had been completed. Four neighborhoods, Versailles, Alden, Russell Park and Kenmore, were under construction. In 1992 and 1993 parks and the community center were under construction as well as Faith United Methodist Church. In 1994, Lake Park Academy, a private school was started. By 1997, Lake Park Academy had its own building in the Town Center. Retail shops in the Town Center opened in the first building in 1996. Today, additional retail buildings are available including a day care center. A nursing home has opened at the edge of Lake Park. Construction in Lake Park is finished. Lake Park, which began as a development governed by a homeowners association, incorporated as the Village of Lake Park in 1994. This has meant that town property taxes pay for many of the amenities normally associated with a homeowners association. The Community Center, for example, with its pool and tennis courts, is not part of a mandatory association fee. Association fees are relatively low in Lake Park. Another feature of life in Lake Park is the emphasis that the town places on social activities. The town sponsors a series of events, including the March Kite Festival, May Founders Day and the annual Fall Festival. Clubs, such as the Lake Park Garden Club and S.A.G.E.S., a seniors group provide social opportunities for Lake Park residents. Copyright 2007-2017. Carol Fox. All rights reserved. Search Lake Park NC homes for sale by clicking the links below. The search results may include properties outside the Village of Lake Park. Ask me a question about Lake Park NC. 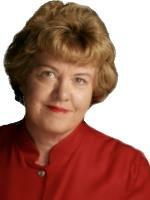 I'll be happy to answer your questions about neighborhoods, homes for sale and living in Lake Park NC. Drop me a note via the email form below or give me a call at 704-905-3935.